I did - and I wanted to use my team’s professional IT support experience to help local people navigate the confusing world of computing and the internet. I identified Open Age, a charity supporting older people in the local community, as a good place to start. 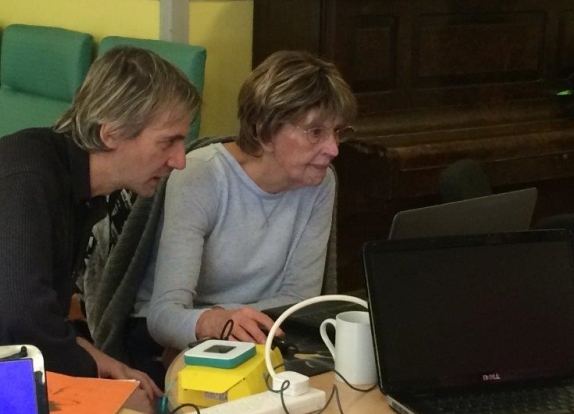 They work across London helping local people aged 50 or older to sustain their physical and mental fitness and develop new and stimulating interests. 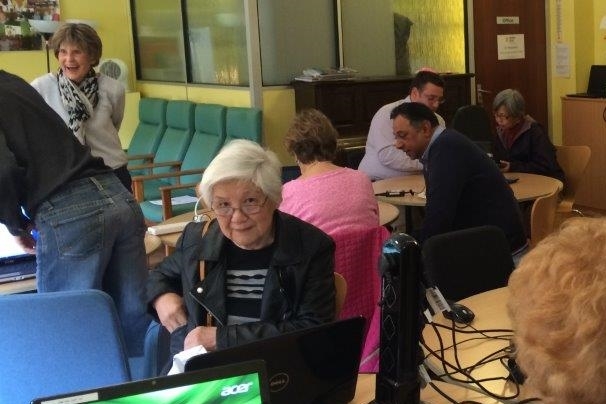 I offered to provide an ‘IT and gadget drop-in session’ at their centre in Pimlico. We provided hands-on advice on using devices and navigating IT, which they enthusiastically accepted. We arrived at the Pimlico centre mob-handed (well myself and 3 like-minded Service Desk colleagues), having made the short journey from our Horseferry Road offices. The 3 hours we had scheduled for the event went by in the blink of an eye. Any early nerves and trepidation quickly evaporated as we were warmly welcomed by the small army of senior citizens who had already gathered, clutching a range of devices from iPads, tablets, laptops and smartphones, even an old camera! We were soon chugging along nicely through a sea of questions and issues. In many cases people had received devices such as iPads and tablets as Christmas gifts from well-meaning relatives to help them access the internet or stay in touch, but which they simply didn’t know how to use. In many cases these devices hadn’t even been taken out of the box. In between all the tea and biscuits, and after much turning things off and on again, we resolved a huge variety of queries. These ranged from basic IT navigation and internet / email use through to fixing connectivity and printing issues, configuring devices and setting up email and Skype accounts. One lady had unwittingly used up her mobile broadband data allowance, so we explained how her monthly limits worked and how she could manage this better and avoid unnecessary costs. She was delighted and when she left was making plans to put the savings towards a new coat! Another gentleman had an older laptop that was running at a snail’s pace and he had seriously been considering splashing out on a new device. That is until we ran a full health check and tidied up his programs and browser add-ins! The need for a new purchase was successfully averted. One lady had been tempted to upgrade her iPad to increase local storage space, until we set up an iCloud account with some free online storage for her. Another wanted to set up her email and Skype to enable her to communicate easily and cheaply with her daughter in Australia. She felt so alone that this was an important tool for her. Twenty minutes later she was busily emailing and was able to Skype her daughter. Although small in scale, this supports the government’s broader digital engagement initiative; encouraging civil servants to support colleagues, friends and family or members of the community to gain basic digital skills. We have already held a further drop-in session at Pimlico earlier this year and are planning another next month. We’re also looking to formalise our partnership with Open Age, so that we can offer regular sessions at different centres right across London. All who attended agreed - it was an incredibly positive and rewarding experience. And it was so refreshing to work at a gentler pace, away from the hurly-burly of the Service Desk without the constant ring of phones and service level targets to worry about. More than that though, it was great to be able to use our knowledge to make small, but often critically important changes for people and to help them feel less excluded from the modern world. I can’t recommend it strongly enough as a hugely rewarding way of making a real difference to vulnerable users of technology and giving something back to the community.